Kylie Jenner Lying About Never Having Cereal with Milk?!!? 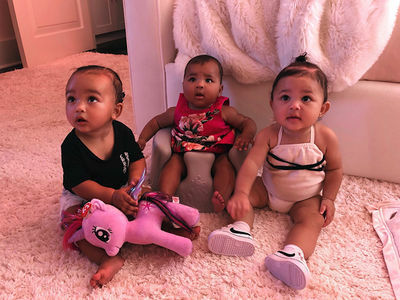 Kylie Jenner SAYS she hadn't tasted one of life's greatest delights -- cereal with milk -- until this week, but she's cuckoo for Cocoa Puffs because we found out ... she's been on the milk for years! Or at least once. Kylie sang the praises of moo juice Tuesday, posting on Twitter, "last night I had cereal with milk for the first time, life changing." 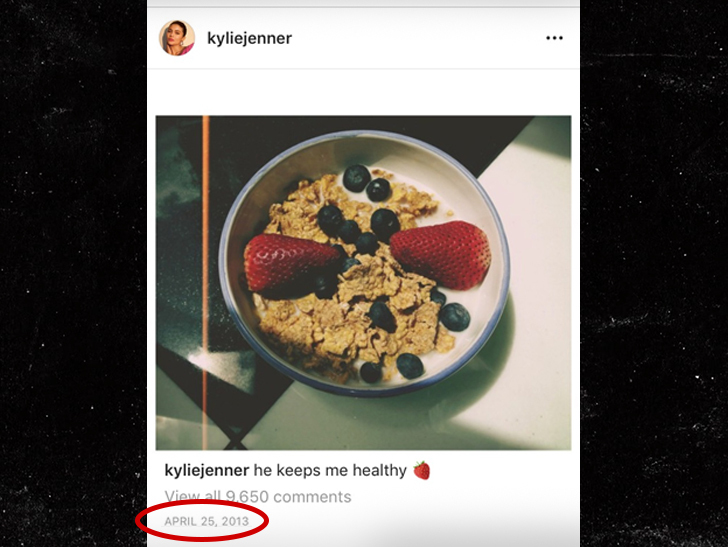 But, we have some Trix up our sleeve because we went back in time on Kylie's Instagram account and, lo and behold, on April 25, 2013, Kylie was lyin' past-her-eyes. She posted a pic of a delicious bowl of what looks like bran flakes with MILK!!! Bran makes you regular ... a regular fibber. BTW, we're guessing the "he" in her caption is her dad, who famously appeared on Wheaties boxes after getting a gold medal in the 1976 Olympics. Now ... there are some who may say it's not milk in the bowl ... it's yogurt. But, yogurt leaves a residue on interior sides of the bowl, and this bowl looks clean on the sides. Call us lactose intolerant ... we'll wear that badge! And in case you wanna weigh in yourself ... let us know what you think is in that bowl.